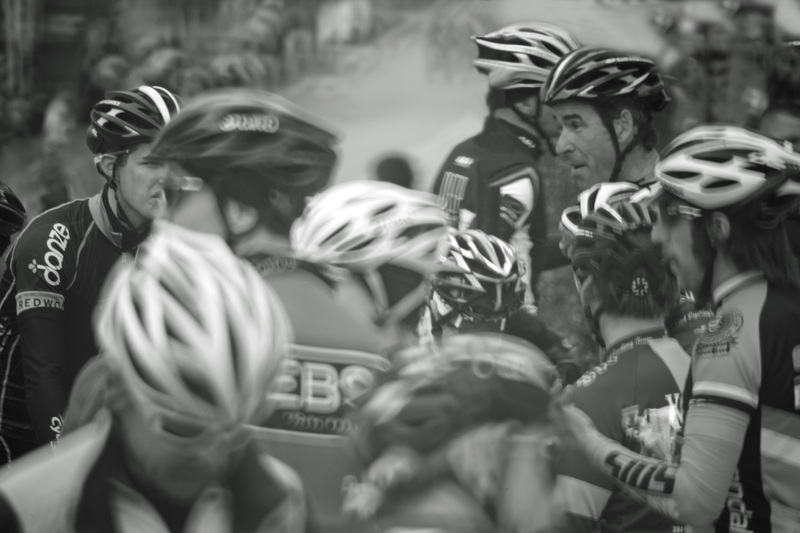 Here is the original iamge I took of the cluster of Battenkill Bicycle racers when they gathered together after their race. You can see how distracting the black pole in the picture is. Cambridge, N.Y. hosted another Tour of the Battenkill bicycle racing event and I was busy trying to get some good images during this event. I got some of the racing that I haven’t figure out yet. When I get new pictures I tend not to like what I have until some time goes by and I can study them further. 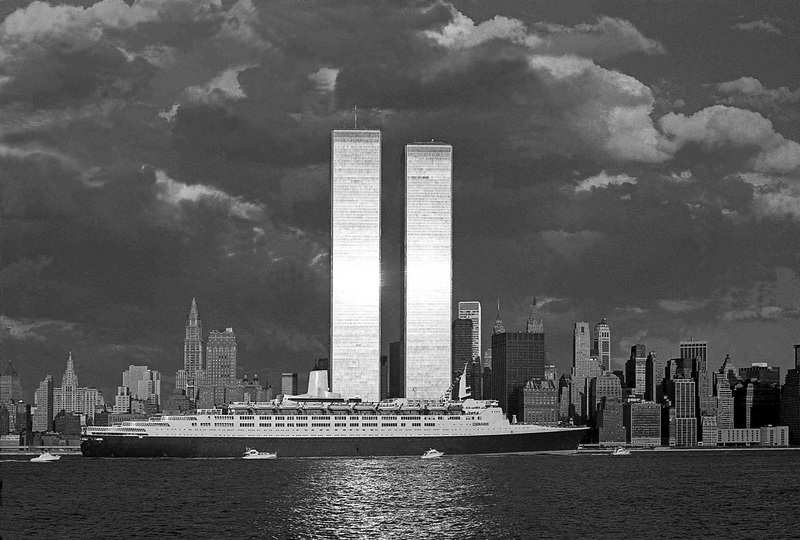 I found a couple of pictures that I was able to fix in Adobe Photo. In the one illustrated here I had to take out a black pole that was a great distraction in the picture. I took this picture of a cluster of team racers that gathered together near the finish line after their race. You will not see the pole in this final version. In my next blog you will see the original image before any Adobe fix. I sell my digital images for $65. This is for a large 11×14 fiber base digital printing paper that is thick 330m paper. This is a rich item indeed. Smaller print available. George Forss 38 West Main Street Cambridge, N.Y. 12816 $15 for shipping and handling. Come to my gallery if you can. Somebody wanted to know what I am selling ? I do not tend to run my blog in a strickly professional manner. Sorry about this. In my gallery I have about 30 different artists. I get them to lower their prices as much as I can. When I sell something it will have more value than it will appear to have, perhaps because I don’t hype the way I should. I don’t lie about an item I am selling. I don’t really have to it seems to me but I know I am wrong for this. One thing to consider, art galleries these days are a poor business venture. Why am I writing like this ? This is a no no. I do framing, which is anther poor business to have. I do framimg with found frames. I only charge my labor charge of $35 for this per frame. I do get business in this way. I am a unique author. I do channeling with the universe to get the great wisdom I write about. I give my writings away for free. I have to. I do Bible writing. This is an angry fool type of writing, which does not have instant appeal to hardly anyone, which odly enough does allow a person to channel with the universe. I am not kidding. I am able to do what I want to do because I am open to some kind of source for excellence in the universe. I have unique products connected to my writing. I have nine symphony’s I created using electronic feedback sounds. I wanted to be a composer of symphony’s and I found a way by magic (Wizard stuff). Price list ? I sell wholesale and below if I can. i am planning to upgrade this blog so people can view some of my art films and hear my Symphony’s. These are really different. I am devloping a small following. Come to Cambridge N.Y. We all have fun in this town and you will too. Send me your Email for a group of my writings. What am I Philopsin about now ? I sent this e mail recently and it kind of explains what I am doing (me). Two samples here; a self porrtait of a Foolish Wizard and one of Nancy Krauss. I started doing portraits with a 1937 Zeiss Icon folding camera with the ambition of getting portraits that capture the quiescently truth of a person. I find that this is possible for me if I can photograph someone while I am not at the camera in use. I also find that I need to be playful in this venture. I also want to take pictures that look like my mother’s box camera pictures. The pictures attached will look like they were taken in no special time that is an “IN” time and place. The ideal is for my new portraits to have a kind of timelessness about them, while I am able to capture an expression, pose, and attitude about my subject. I am good at this if I am not at my camera. So, I am using a twenty foot long bulb release that attaches to the shutter of the Zeiss Icon camera. 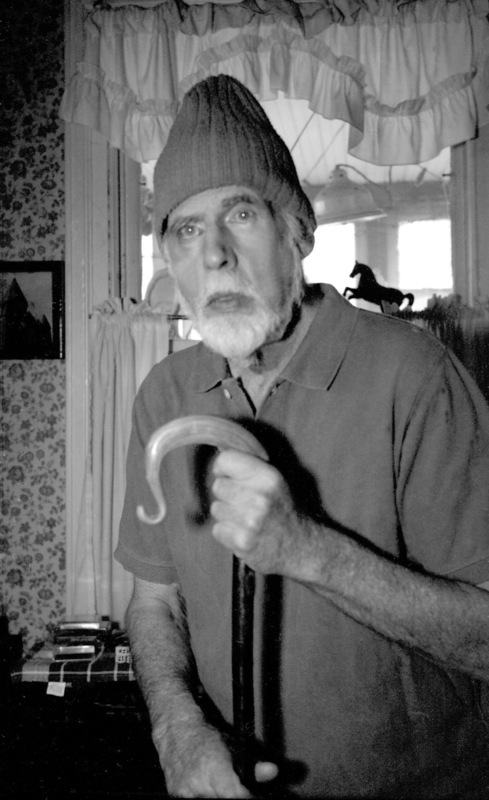 I am the Foolish Wizard in my portrait. I need to explain why this is so. I don’t have anything ‘concrete’ in my mind (a belief system or such), that is why I stare straight ahead looking at people the way that I do. I only believe in what I can see, visually and esthetically. This is very foolish because it is the opposite of being, commercial, popular and professional all the time (all day long). This is also why I am able to communicate with some others in my channeling, like a wizard. Maybe I am only ego tripping in my old age (in my second childhood) but I have accumulated a great body of wisdom being who I am. I believe when someone does something astounding there is a magical force that comes through to the person, not so much of their own volition. This works for me. There is some nutty stuff showing in my portrait, like some letters on a audio component behind me (I enhanced these in photo shop), a part of my flying saucer mobile and a playful antique iron horse on a window ledge behind me. John Kat’s gave me the wizard staff. Maybe he should not have done this ? If I do a Spiritual Portrait of Jon, I will capture him as a king. There is something ‘kingly’ about this man, especially when he enters a room. 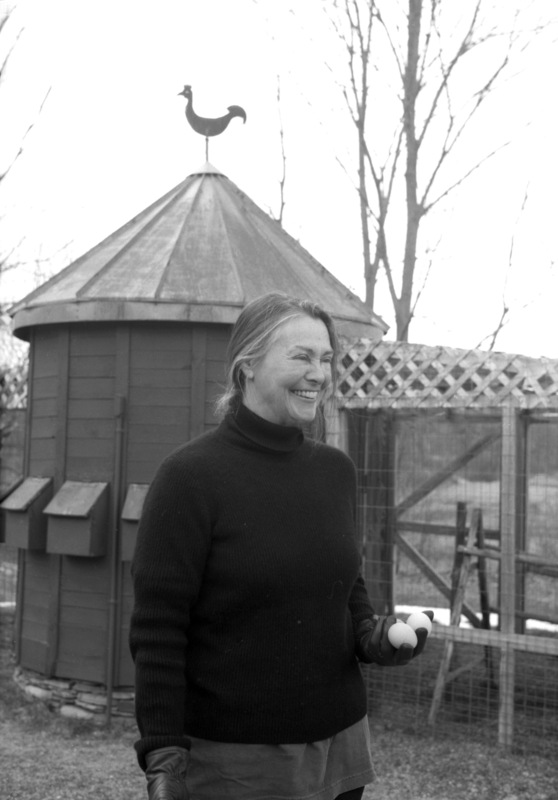 Nancy Kruass was photographed by the chicken coop she and her husband Dan designed. I captured her great smile and posture in this portrait. P..S. When I enter a room people start going home. I better shut up. Look at the word “Quiscently” in my text. I never used or knew this word before now. I just found myself using it suddenly. This is Wizard Stuff !